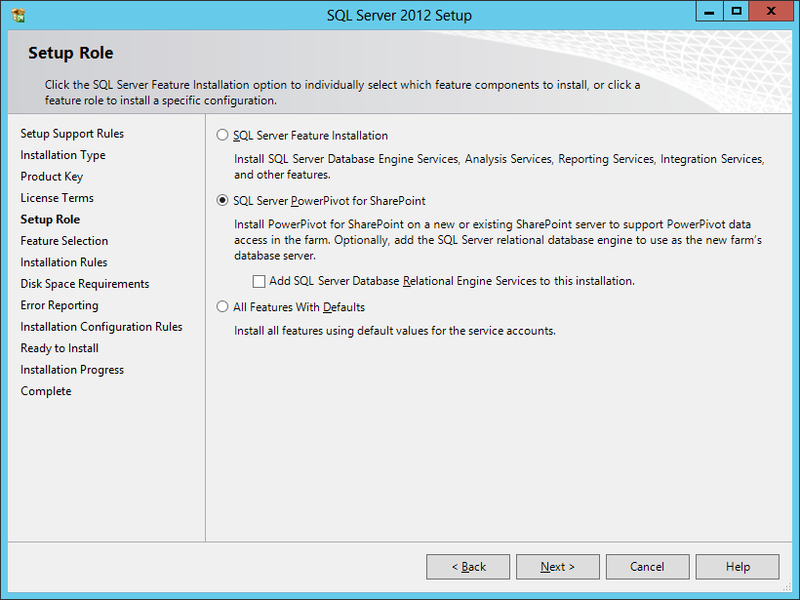 Installing SharePoint 2013 and SQL Server 2012 are quite straightforward processes. When it comes to configuring them and enabling all the nice Business Intelligence features from scratch is a different thing. I recently took a ride on that Via Dolorosa and completed the whole process once again. Here is what you should remember when going through it yourself. 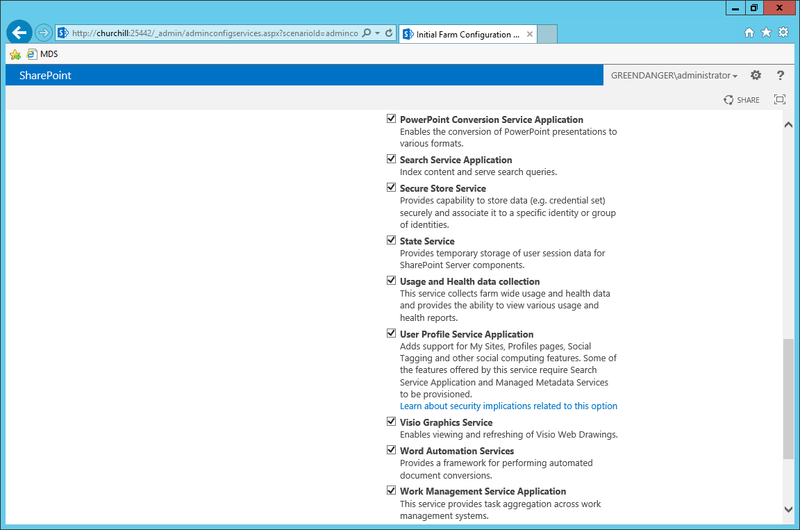 Pretty much all of the prerequisites can be installed manually but the AppFabric installation and configuration is error-prone so it’s better to leave it (and all of the prerequisites) to the built-in prerequisite installer. NOTE! The built-in prerequisite installer wants SQL Server 2008 R2 Native client by default. 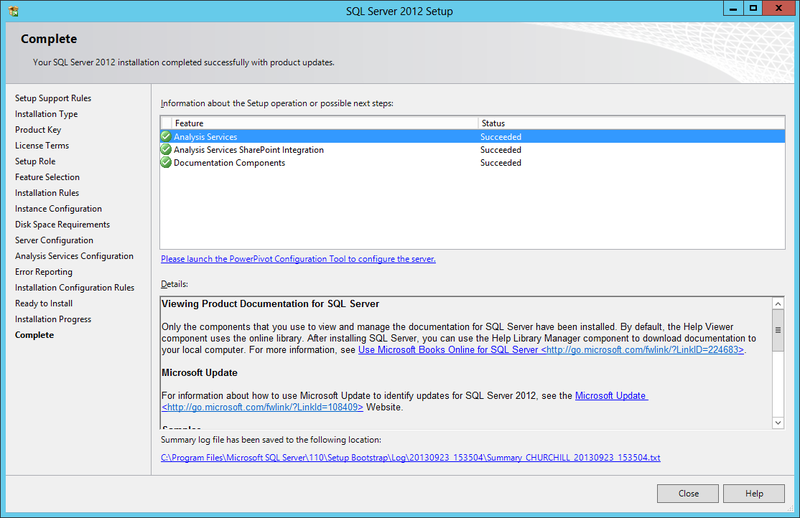 I was using the latest SQL Server 2012 so I tricked the installer and replaced the sqlncli.exe with the SQL Server 2012 Native Client installer (same filename different driver). 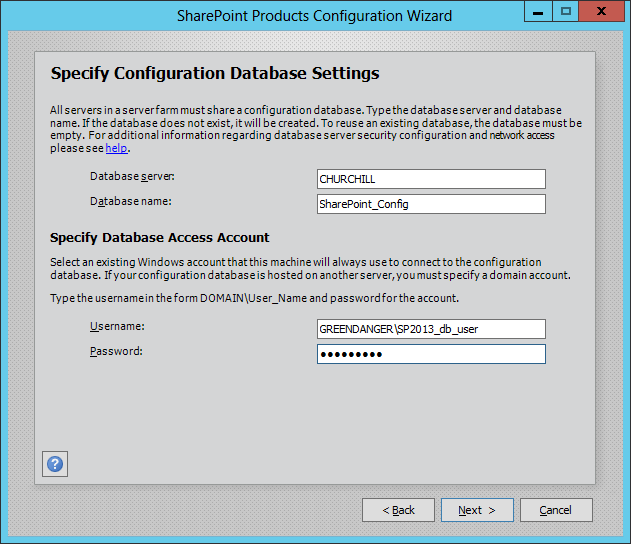 Before installing make sure that you have some domain accounts available for various service accounts used by SharePoint. 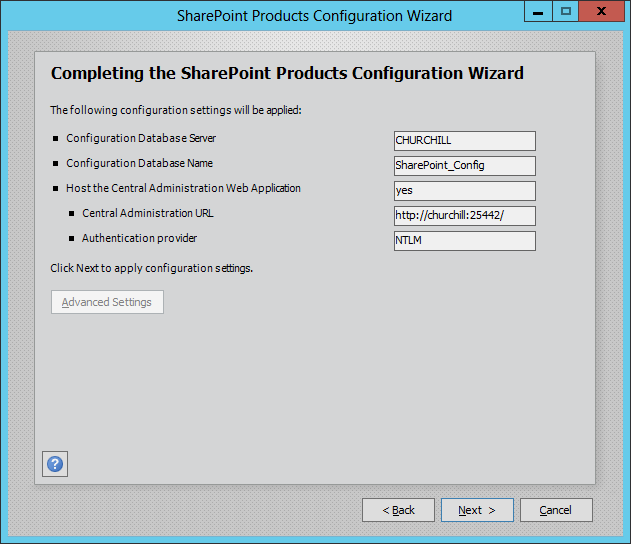 Then its pretty much “Next-next-next” : just run through the installer and when it comes to the end of installation please follow the instructions and start SharePoint Product Configuration Wizard. First we create a new server farm and then specify the database settings for the configuration database and a domain username to access the database followed by giving a secure farm passphrase. 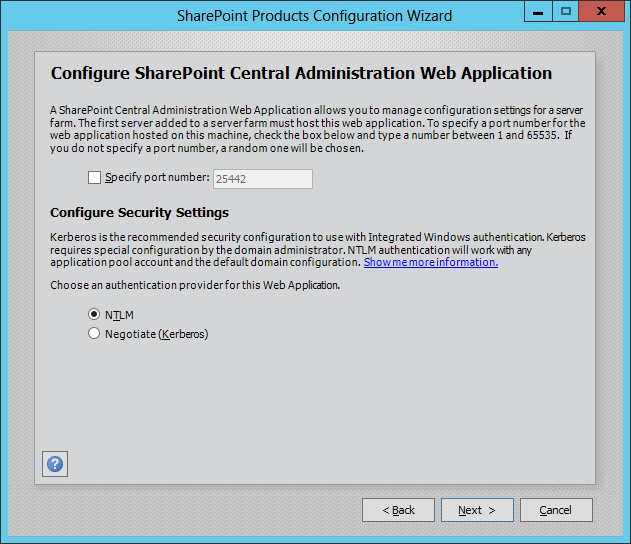 The last thing to do is choose the port for Sharepoint Central Administration Web Application. If you need to choose a specific one now it’s time to do that. For security we go for NTLM. 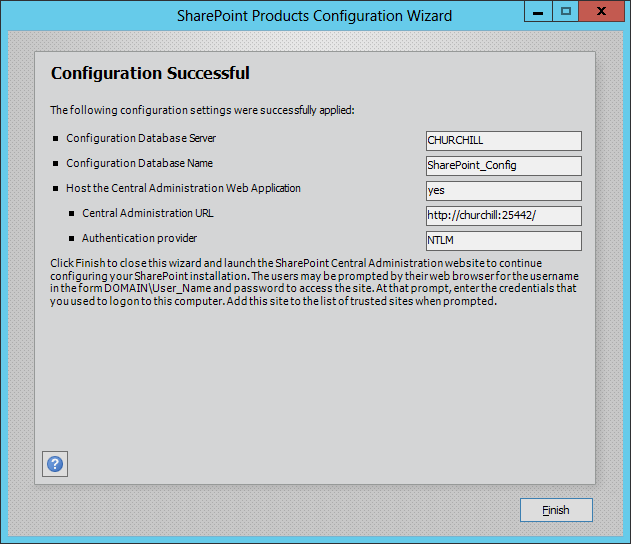 After the Configuration Wizard finishes it’s time to use SharePoint Central Administration Web Application. 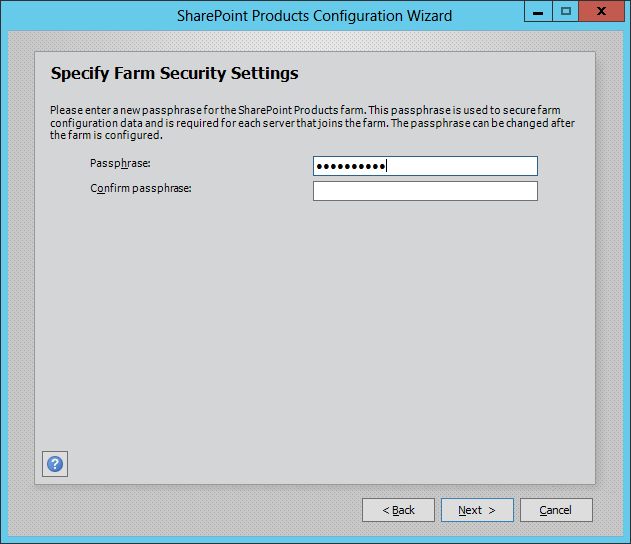 First we start the Farm Configuration Wizard and create a dedicated domain user to be used as the Service Account. As it states the actual configuration phase “shouldn’t take long” but when installing to a virtual machine that may not have the appropriate resources this could take long. 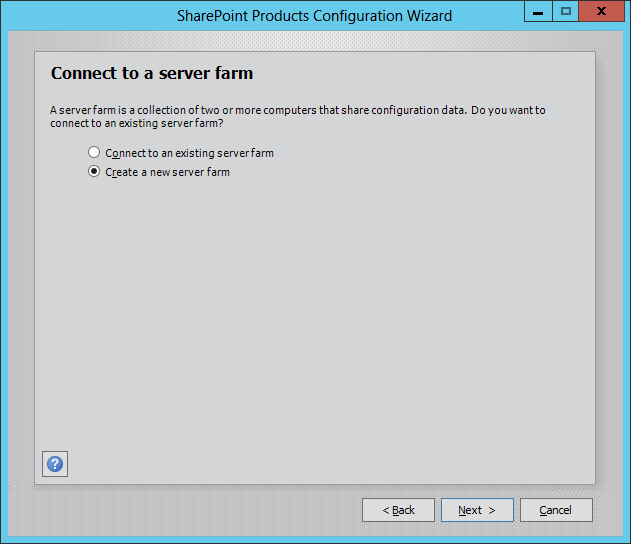 After the Farm Configuration Wizard finishes it’s time to create our first site collection. 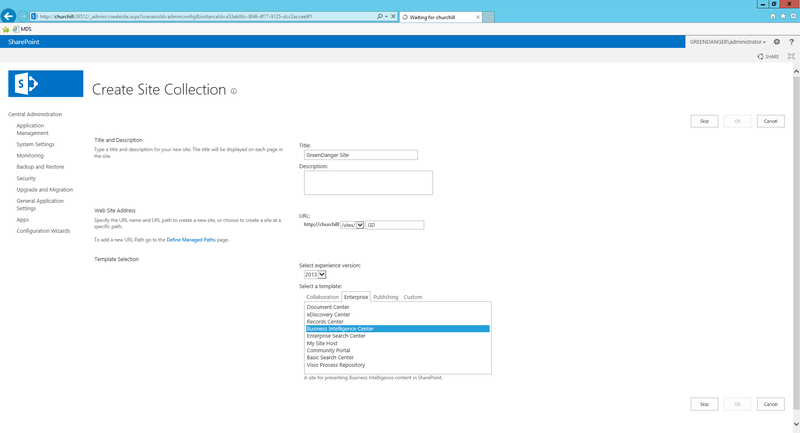 In the create site collection wizard you must provide the name for the site, URL and the template that you’d like to use with your site. As we are creating Business Intelligence solutions we choose “Business Intelligence Center” (under Enterprise tab). 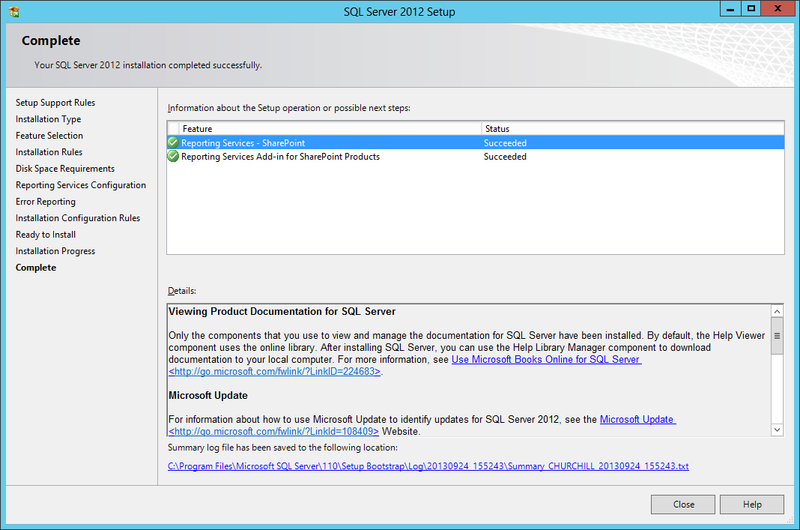 Now we have our site in place and next thing to do is install the SQL Server PowerPivot for Sharepoint instance. 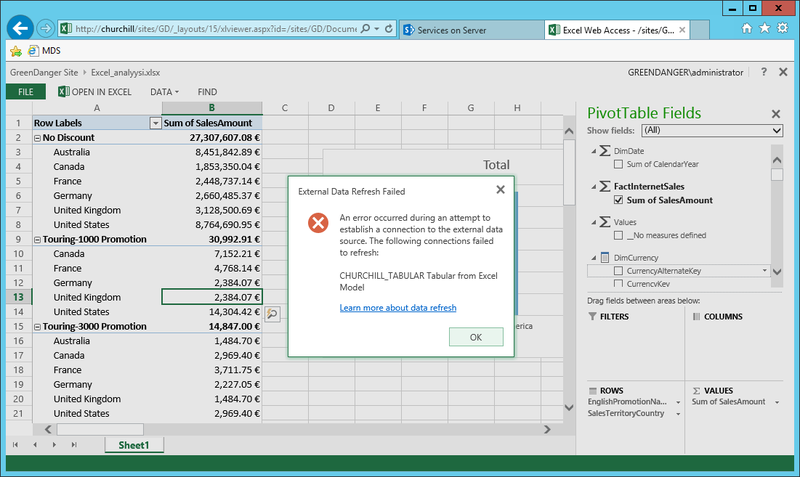 For storing user created Excel PowerPivot documents we need to have a separate SQL Server Analysis Services instance installed in PowerPivot for SharePoint mode. 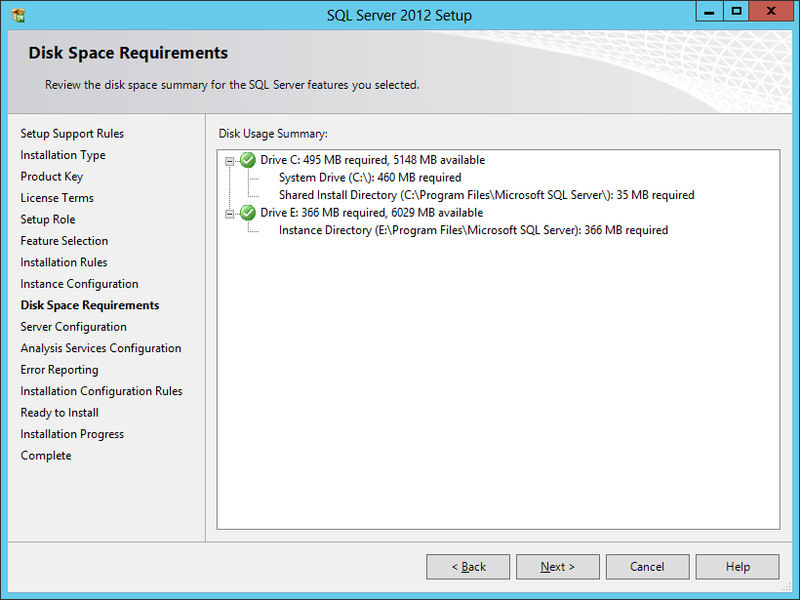 Previously this needed to be installed inside the SharePoint farm but with SharePoint 2013 it doesn’t matter where it is installed. 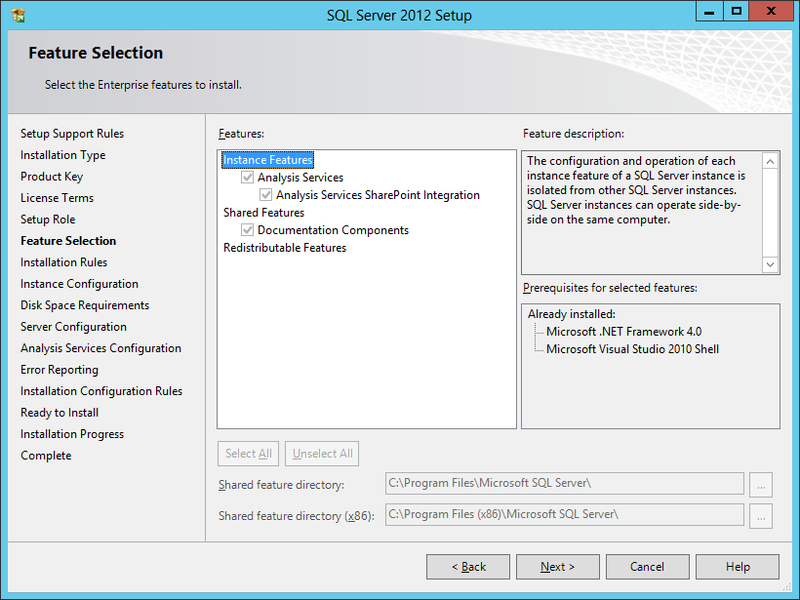 Just run the SQL Server installer application, choose “Perform a new installation of SQL Server 2012” and in the “Setup Role” page choose “SQL Server PowerPivot for SharePoint“. 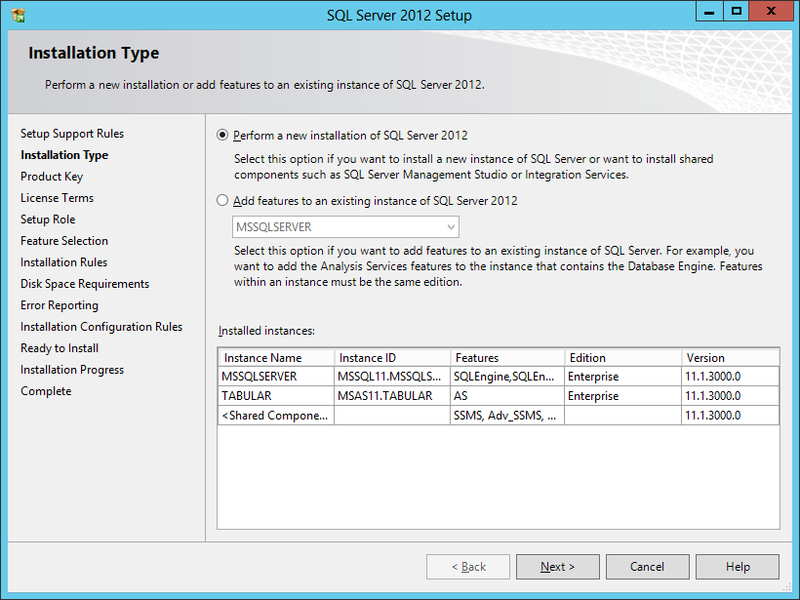 Rest of the installation is straightforward. 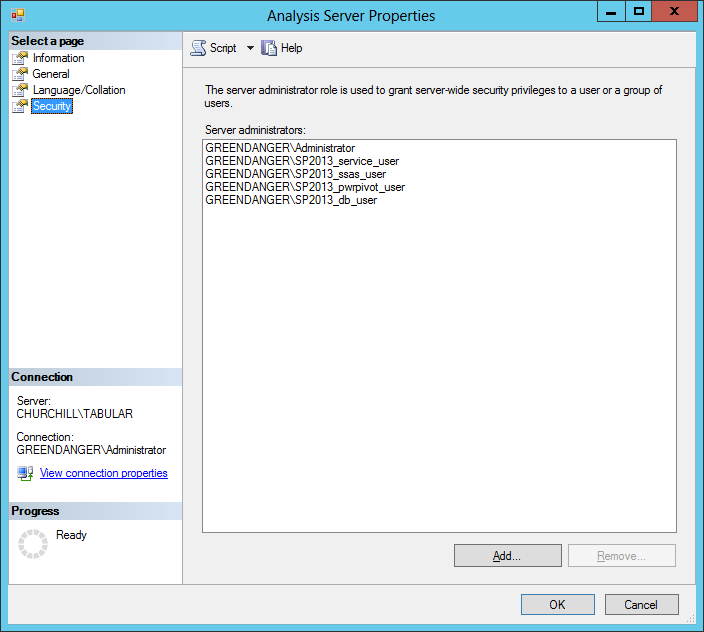 Just remember to create and use a specified user account for the Analysis Services service. 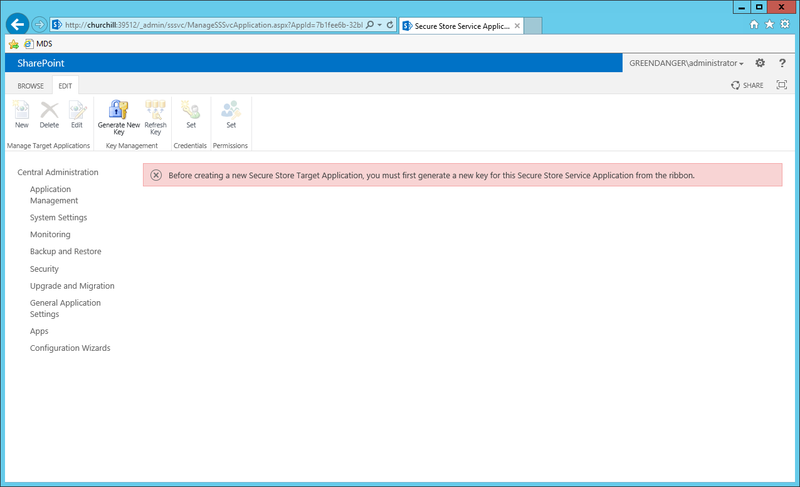 If you now try creating a Excel spreadsheet and upload it to SharePoint document collection you may encounter this error message: External Data Refresh Failed. Now the data refresh should work properly! 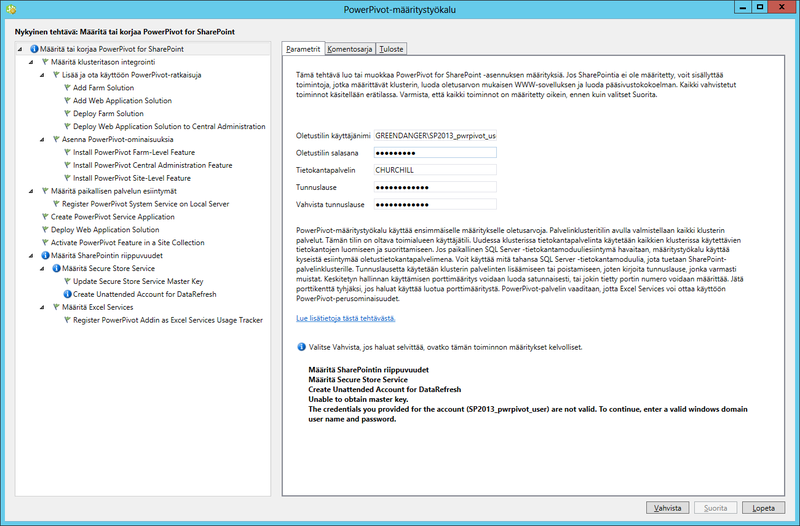 To enable server-side data refresh processing, collaboration, and management support for PowerPivot workbooks go and download & install the Microsoft® SQL Server® 2012 SP1 PowerPivot® for Microsoft® SharePoint from here. 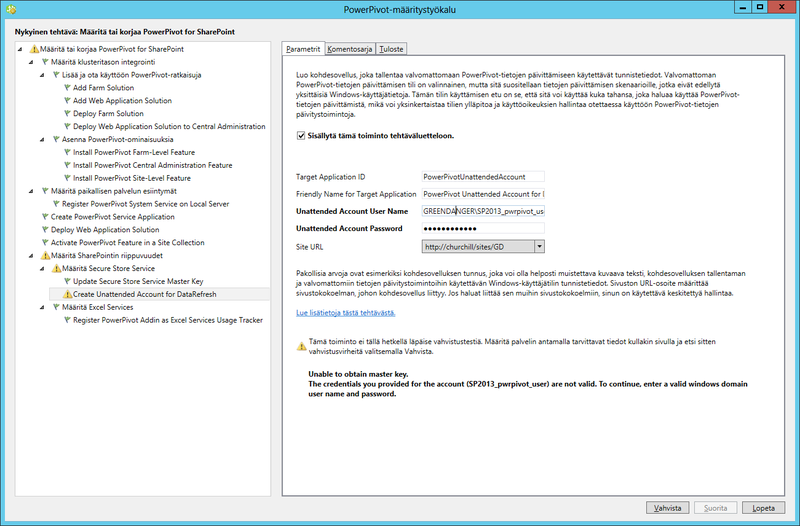 To get the PowerPivot Gallery, Schedule data refresh, Management Dashboard, and data providers features working properly next we must run the PowerPivot for SharePoint 2013 Configuration tool. 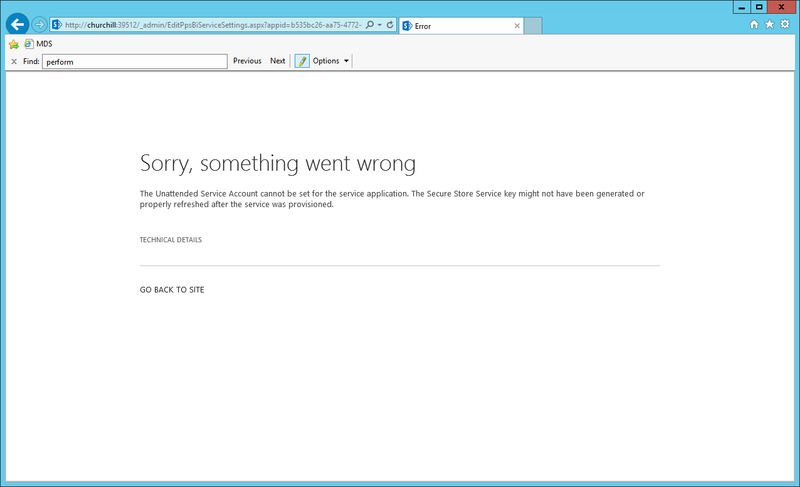 There may be warnings about Secure Store not configured but we don’t need to care about it at this phase. All set! 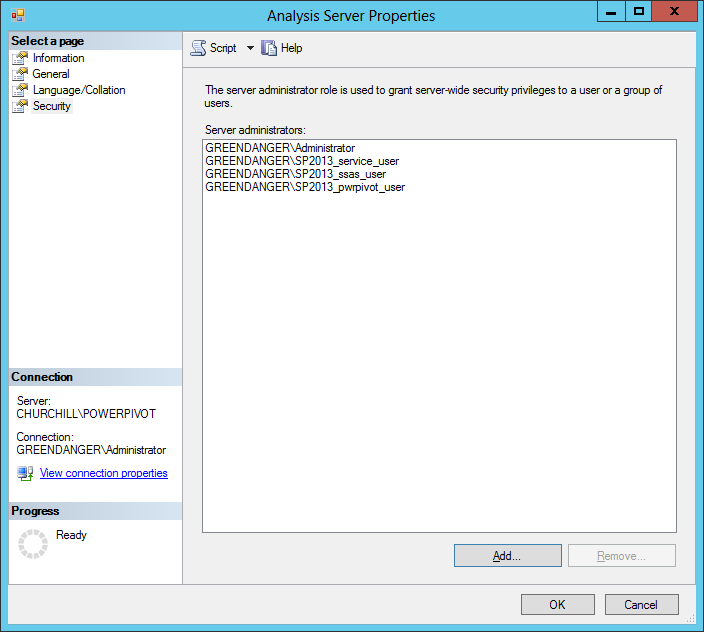 Finally make sure you add the PowerPivot Service Application user to the administrators of the Analysis Services instances. Adding the BI Semantic Model Connection Content Type to a libary allows the quick usage of eg. 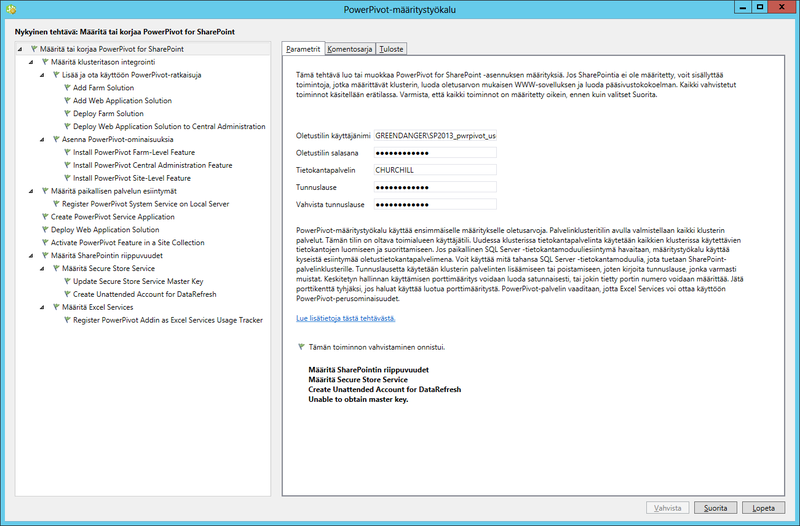 Power View straight from the SharePoint site. Detailed instructions how to add it can be found here. 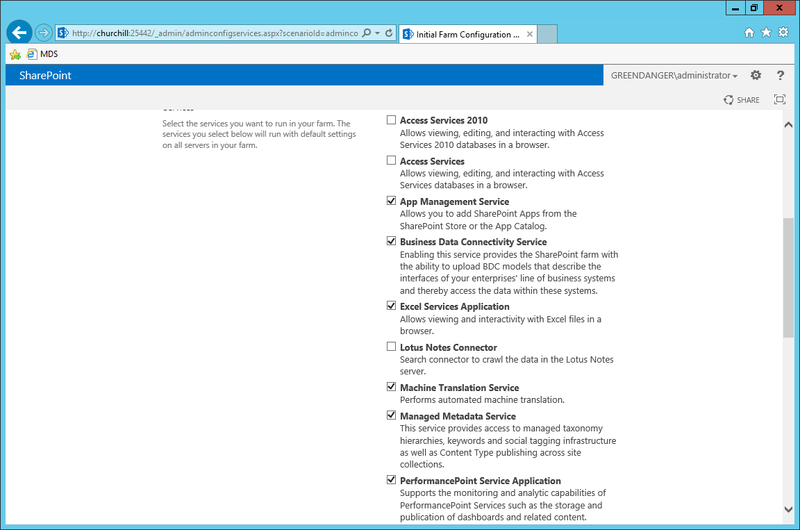 To avoid future connection problems wise thing to do at this phase is to make sure that all the corresponding SharePoint Service Application user accounts are added as administrators to all the Analysis Services instances that’ll be used with SharePoint. 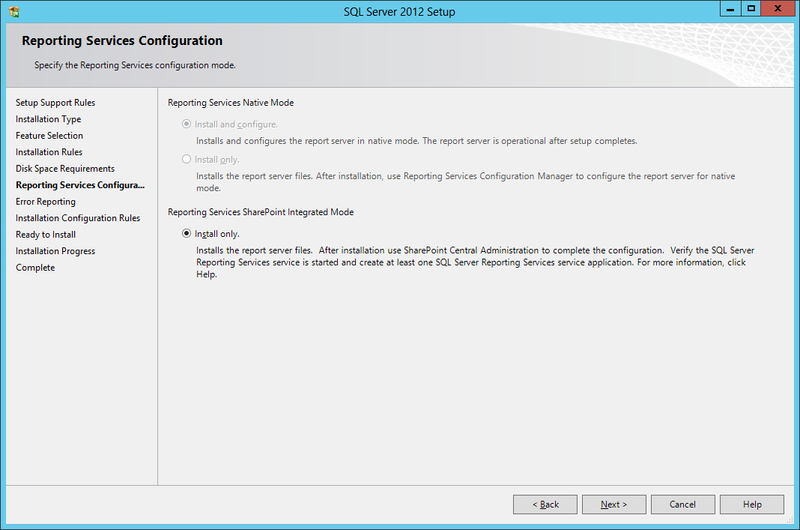 In Reporting Services Configuration page choose Reporting Services in SharePoint Integrated Mode and Install only. 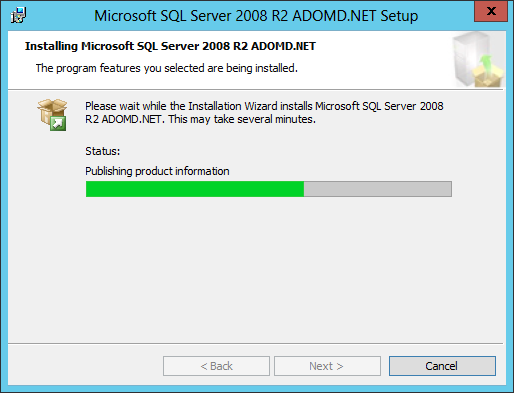 All set, hit install and after a moment the installation is ready. 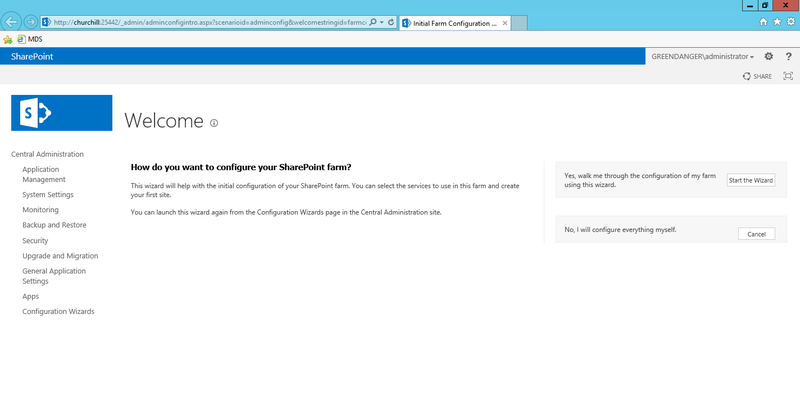 Then comes the configuration part. 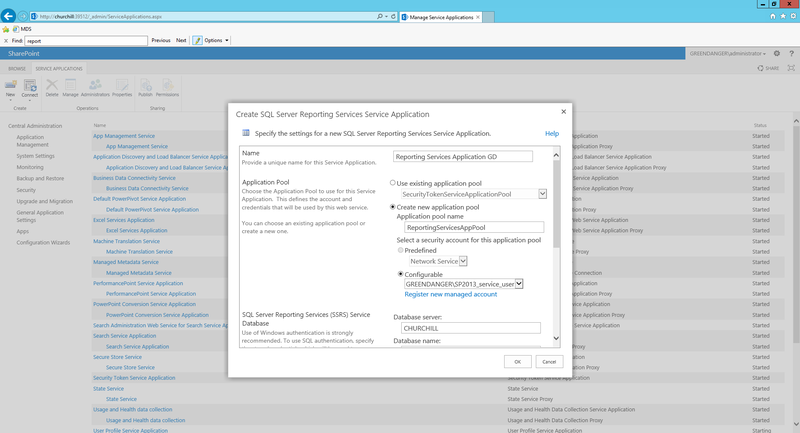 First we create the Reporting Services Service Application in Manage Service Applications section in the Central Administration. 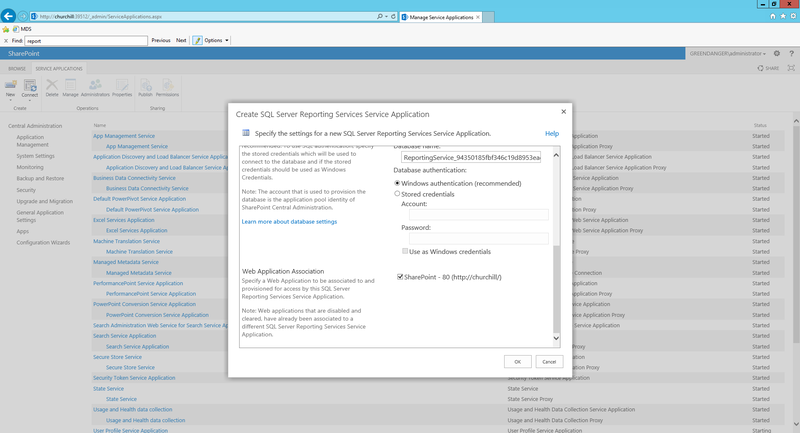 You must provide a unique name for the service application and then create a new application pool and a specific user account for running the pool. 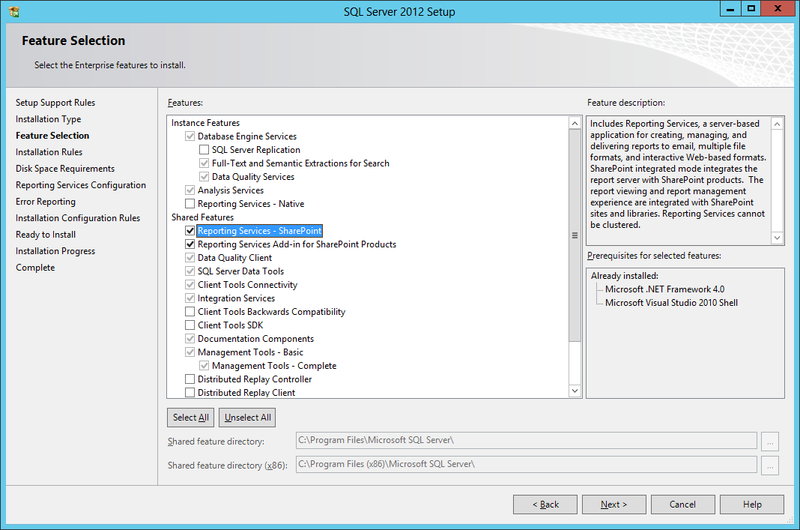 Also choose the database server where to create the SSRS datastore. 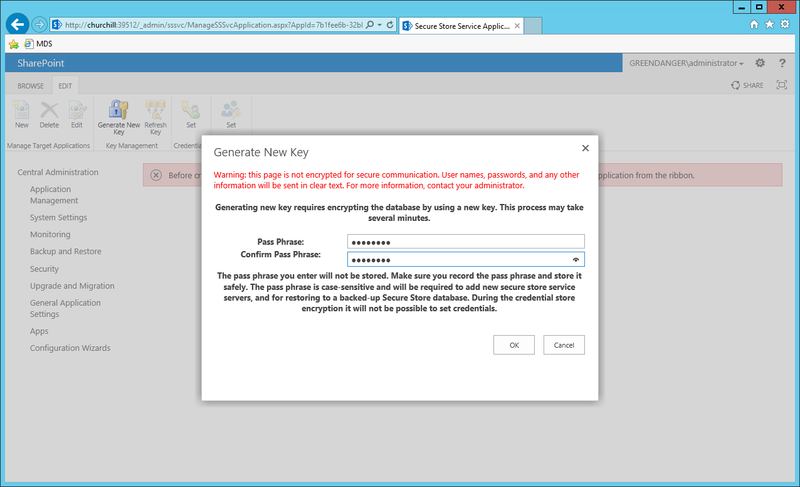 For authentication we go with Windows Authentication. 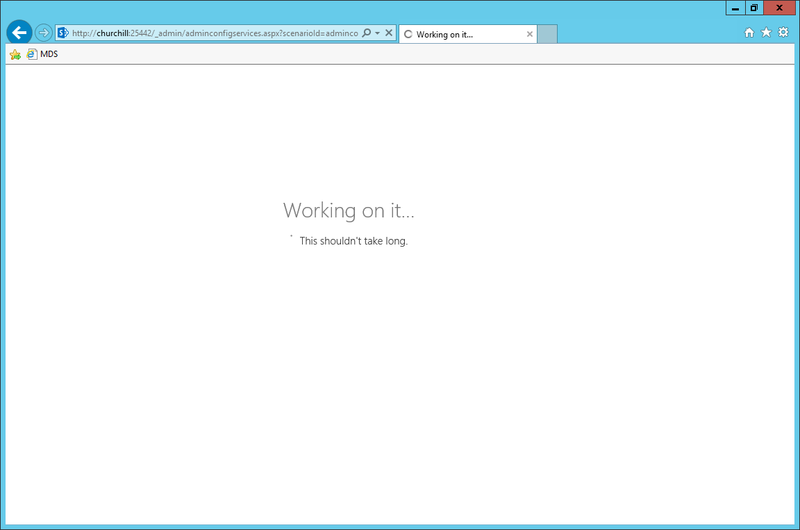 That’s pretty much it and again we wait for SharePoint to get the configuration done. 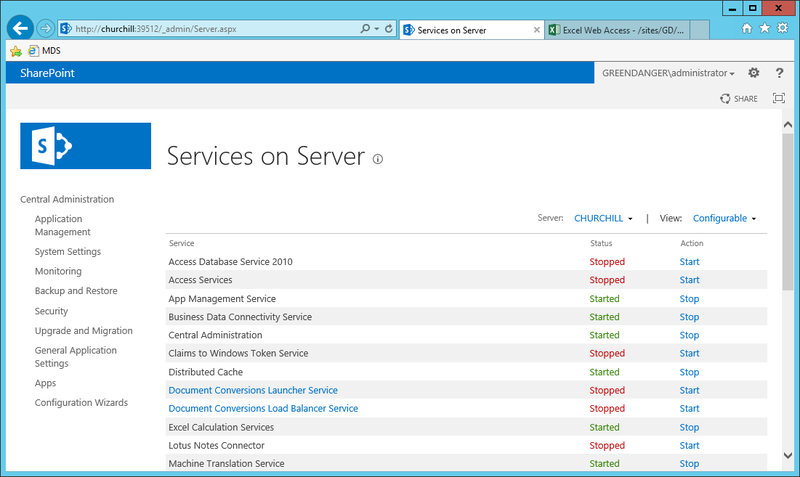 Next we Activate the Power View Site Collection Feature in the Site Collection Administration. 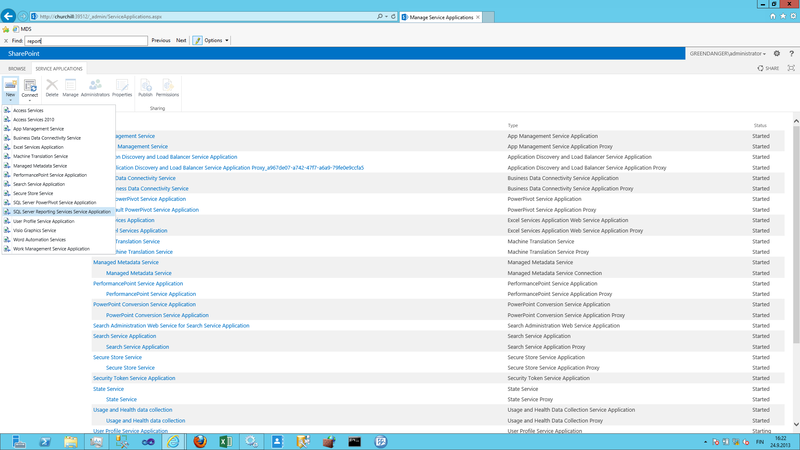 Now that we want to leverage the BISM Data models with Power View make sure that the Power View Integration Feature is also activated. 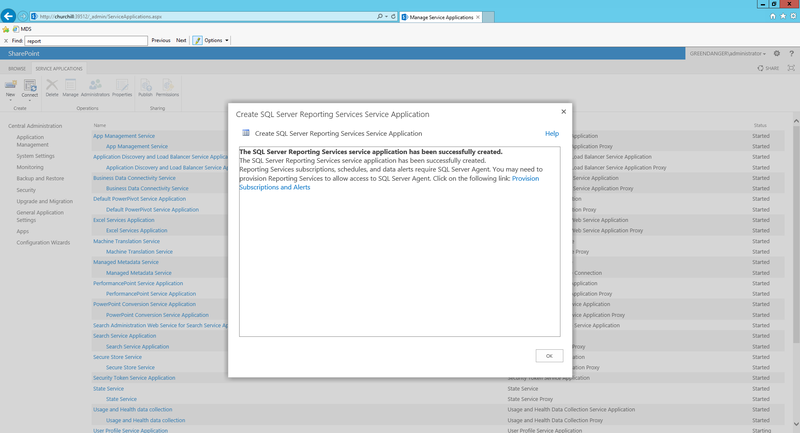 The last thing to do with Reporting Services is to Add Report Server Content Types to a Library (Reporting Services in SharePoint Integrated Mode). 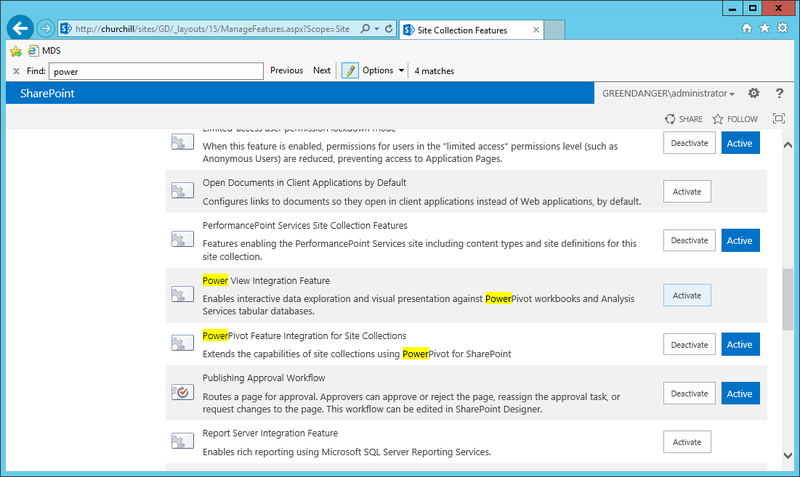 To enable visually nice-looking dashboarding capabilities to SharePoint we must enable and configure PerformancePoint Services. 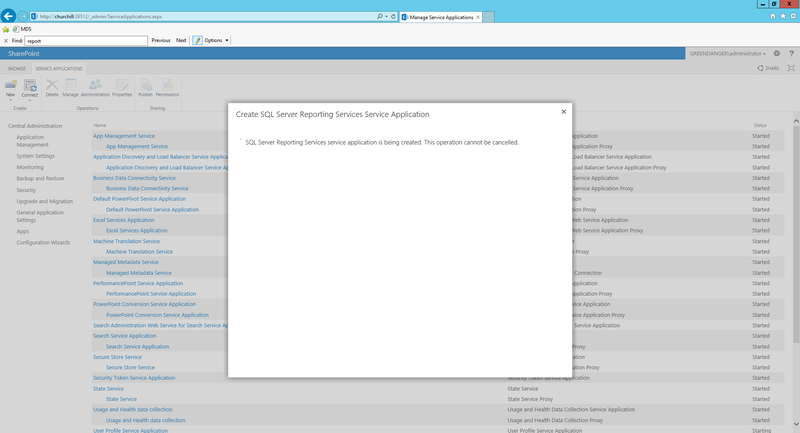 You might hit the error message “The data source cannot be used because PerformancePoint Services is not configured correctly. 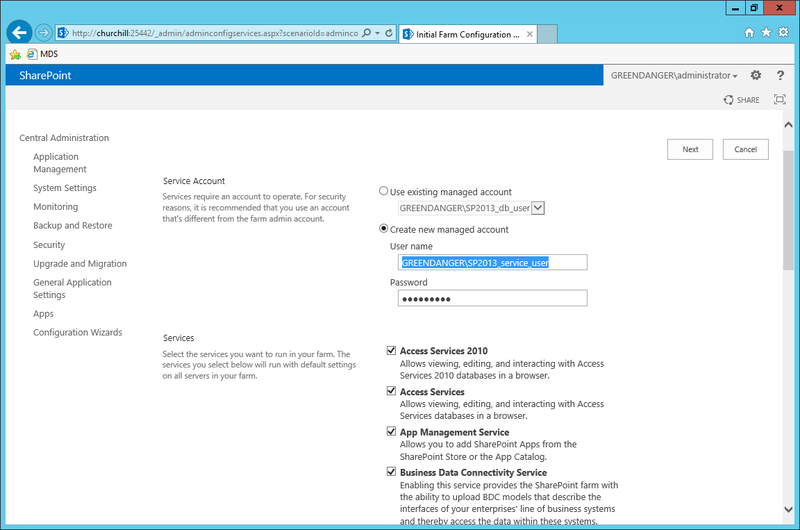 Additional details have been logged for your administrator” If the PerformancePoint Services Unattended Service Account is not set you must enable it. 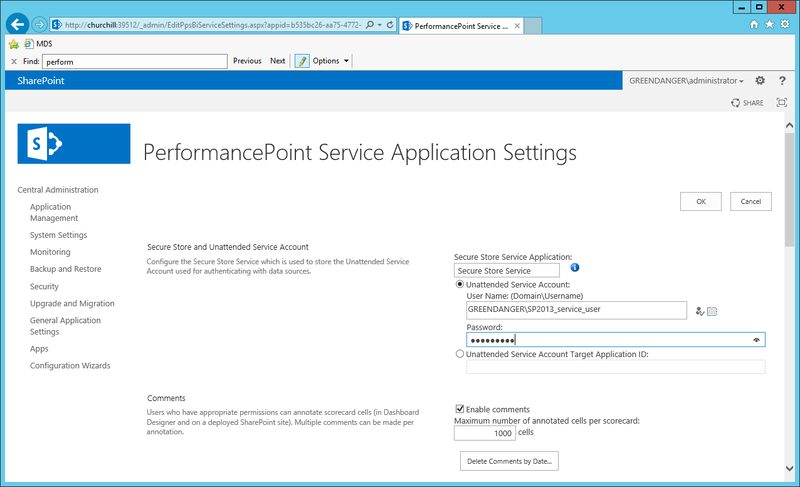 The setting is located in “Manage service applications” in SharePoint Central Administration under the PerformancePoint Services management page. 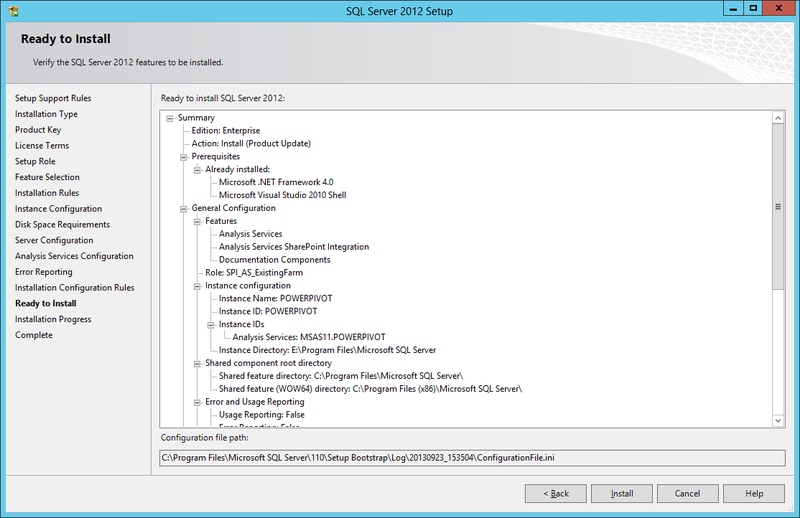 Why can’t SharePoint Dashboard Designer 2013 connect to SQL Analysis Services 2012? 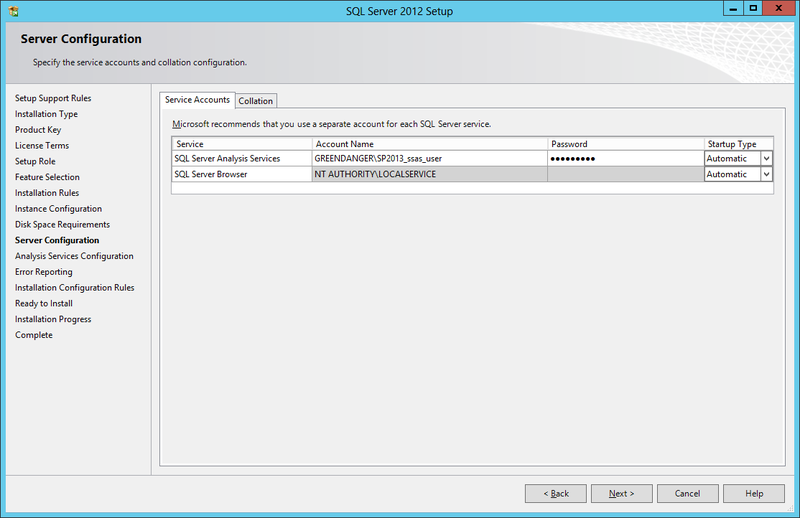 By default when running Dashboard Designer and trying to connect to an SQL Server 2012 Analysis Services instance you only get empty values. If you go to Windows Event Viewer you can find out the reason behind this: Dashboard Designer 2013 needs ADOMD.net version 10 support! 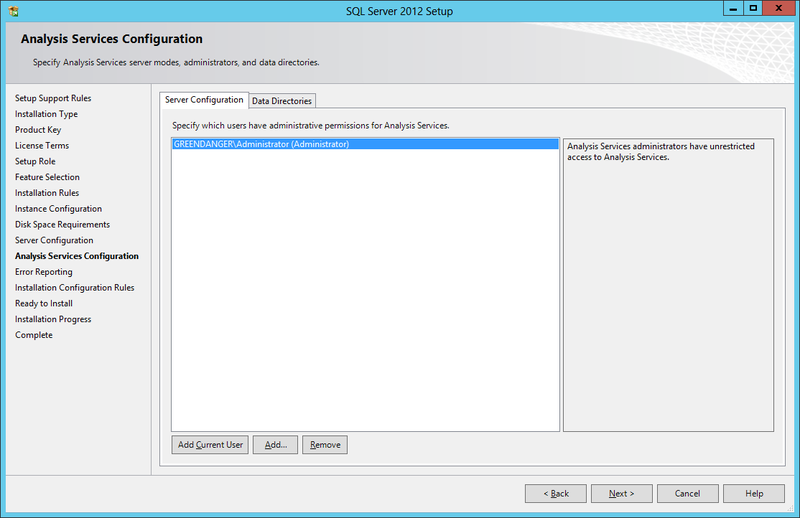 Remember to use Data Tools instead of Report Builder since the dialog is not available there. 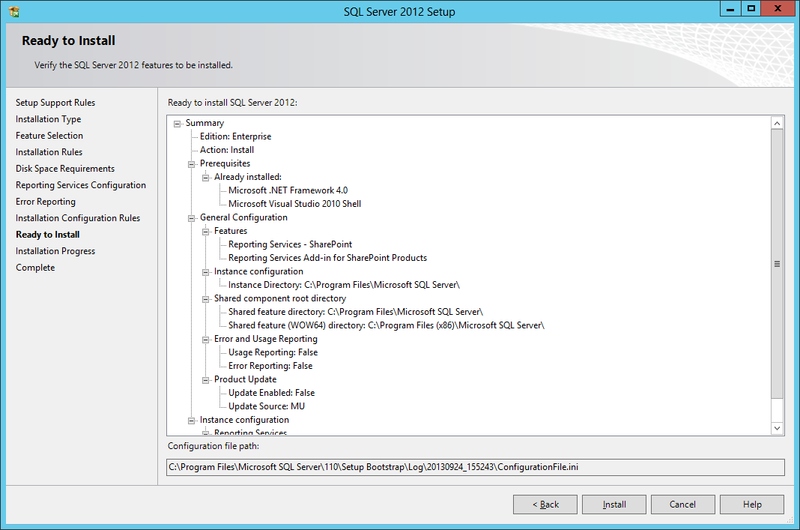 This entry was posted on Thursday, October 31st, 2013 at 14:35	and tagged with analysis services, bi, business intelligence, configuration, configure, dax, install, installation, microsoft, performancepoint services, power view, powerpivot, repoting services, sharepoint, sharepoint 2013, ssas, ssrs, tabular and posted in Analysis Services (SSAS), Reporting Services (SSRS), SharePoint, SQL Server. You can follow any responses to this entry through the RSS 2.0 feed.